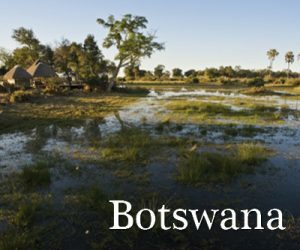 Home > Blog > Botswana vs. Tanzania: Where to go for a once-in-a-lifetime safari! Perhaps the most daunting task when planning a once-in-a-lifetime African safari is simply deciding where to go. 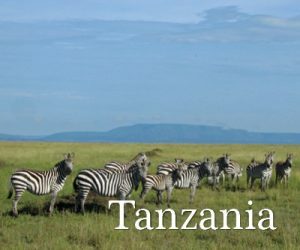 Tanzania and Botswana are two of the most celebrated wildlife destinations (and our two most popular). Ultimately, you’ll have to do some soul-searching to determine the type of experience you are looking for, but here are a few pointers to help you decide between the two. As Boundless Journeys’ Africa specialist, I’m happy to delve into further detail, as I know both of these destinations firsthand. Feel free to email me at karen@boundlessjourneys.com. 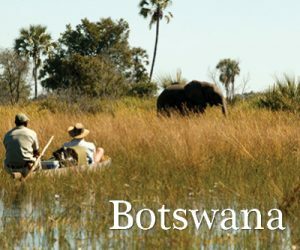 Botswana has a diverse landscape, from the Okavango Delta’s sparkling wetlands to the arid Kalahari Desert. 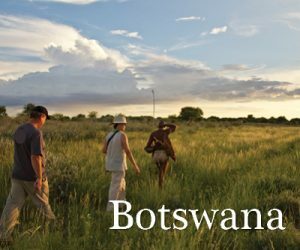 We say that Botswana is the Africa for purists. It is a remote and untamed country. Many camps are accessible only by bush flights, providing a beautiful birds-eye view of thousands of square miles of land inhabited only by wild animals. 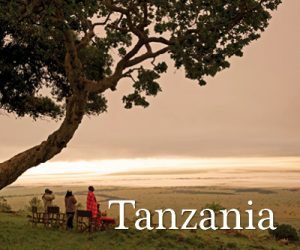 Tanzania is well-known for its seemingly infinite vistas across wide-open savannas that will no doubt leave you feeling humbled. Iconic baobab trees dot grasslands, and the enormous 100-square-mile caldera of the Ngorongoro Crater is one of earth’s impressive topographical features. You’ll also find rolling plains, dramatic mountain ranges, and beautiful lakes. It’s a draw. Both destinations provide great game viewing opportunities with all of the “Big 5” animals (lion, leopard, rhino, elephant, and buffalo), as well as many other species. Unique to Botswana is the black-maned lion of the Kalahari, while Tanzania is home to enormous herds of wildebeest and zebra. 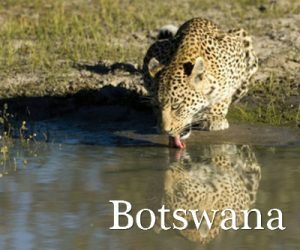 In Botswana, you will typically have an early morning game drive and an afternoon game drive, when the temperatures are cooler and wildlife is more active. In addition, depending on the season, you can enjoy nature walks and canoeing in a traditional dug-out mokoro in some of the most remote and untouched areas in Africa. It’s also very easy to get to Victoria Falls in Zambia or Zimbabwe and cruise on the Zambezi River. 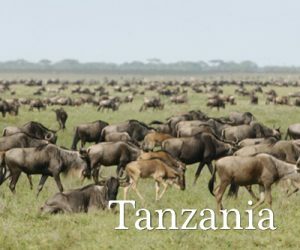 On Tanzania safaris, similar to Botswana, you will usually have a morning and afternoon game drive among epic herds with incredible 360-degree views. You might also enjoy a nature walk, hot air ballooning across the great plains, or a visit to a traditional Maasai boma. The “Spice Island” of Zanzibar is an easy extension if you’d like to top off your safari with some white-sand beaches and coral reefs. Summer is November through March and usually brings high temperatures (60s to near 90s Fahrenheit). It is also the rainy season, and cloud coverage and rain can cool things down temporarily. The dry, winter season is May through August when virtually no rainfall occurs. Winter days are sunny with temperatures ranging from the 40s to mid-80s; however, evening and night temperatures can drop below freezing in some areas. The in-between periods — April/early May and September/October — still tend to be dry, but days are cooler than in summer and nights are warmer than in winter. 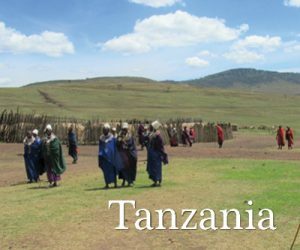 The weather in northern Tanzania is generally pleasant, though the equatorial sun is strong. It can also rain at any time, but chances are higher April through June, November, and December. In the Ngorongoro area, evenings and early mornings can be chilly. Tanzania has two dry seasons, June-Sept and Dec-March. Temps range from the 40s to mid-70s for the earlier months and are about ten degrees warmer for the latter period. “Short rains” come in November, while heavier rains in April & May make the bush green and lush. 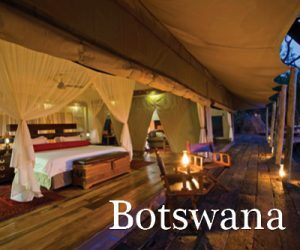 The private reserves in Botswana offer mostly small, permanent tented camps with just 8-12 separate tent or “cabins.” While these accommodations are called camps, this is a “glamping” experience. 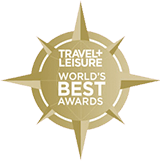 These places have a very high level of comfort (some are downright luxurious) with modern bathrooms, electricity, real beds, plunge pools, turn-down service, and so much more. Some camps offer sleep-out opportunities on platforms in the bush for those who want to be even closer to the wild. 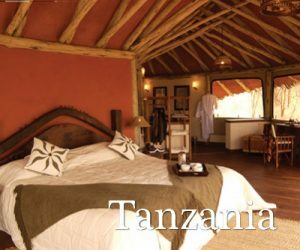 Tanzania, on the other hand, offers a wider variety of accommodations. A typical itinerary will include a mix of small lodges, larger lodges, a permanent luxury tented camp, and a seasonal or “mobile” camp, which moves seasonally based on the migratory patterns of the herds at each specific time of year. Mobile camps are perfectly-located to be close to the action and offer modern bathrooms, electricity, real beds, and an outdoor sitting area to take in the wilderness surrounding you.